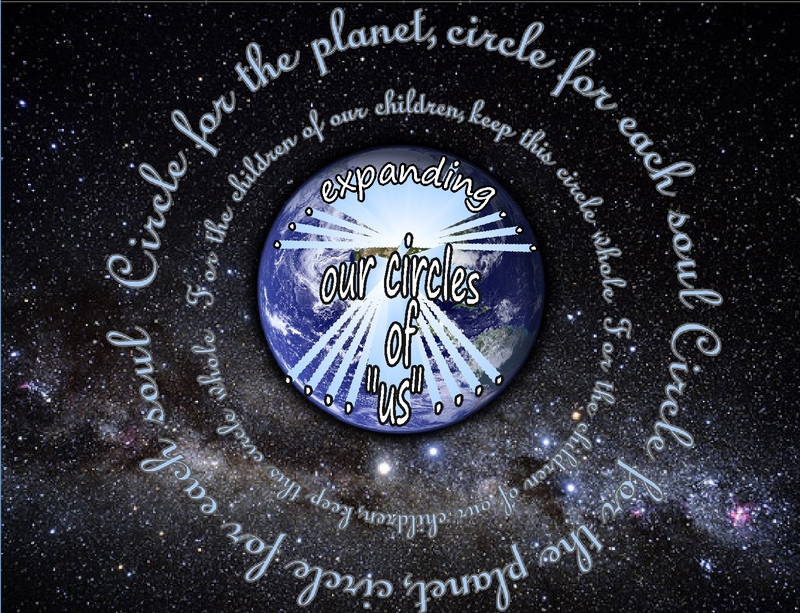 How far out does each of our “circles” of “us” extend…??? 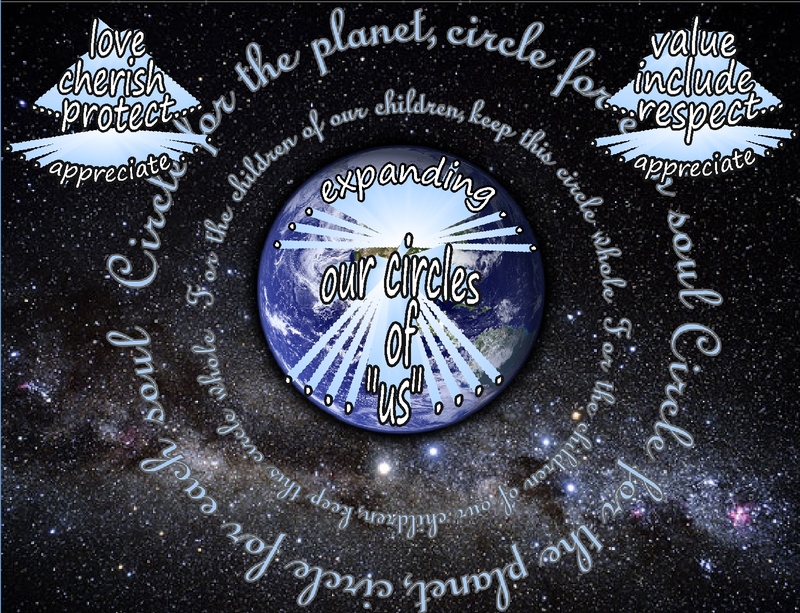 At what point might our circles of “us” stop…..??? …and beyond that is considered “them”…??? 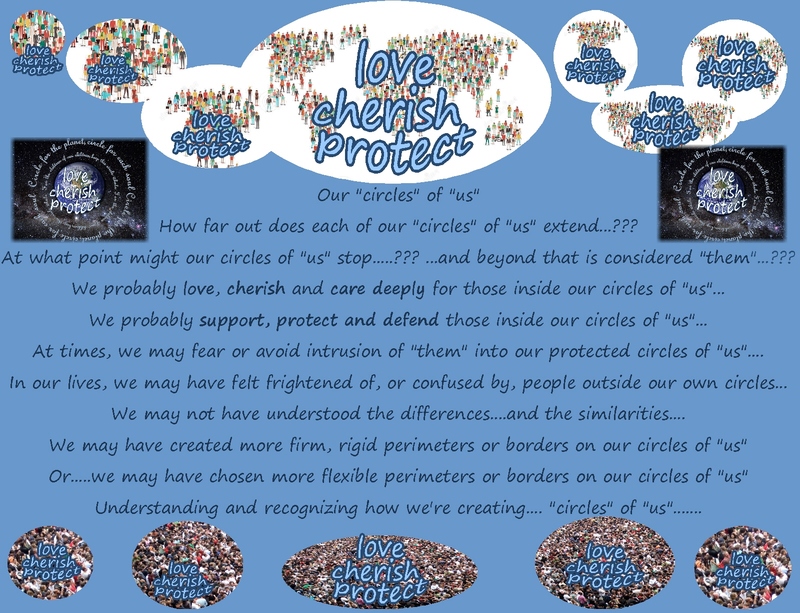 At times, we may fear or avoid intrusion of “them” into our protected circles of “us”…. We may not have understood the differences….and the similarities…. Understanding and recognizing how we might be creating…. 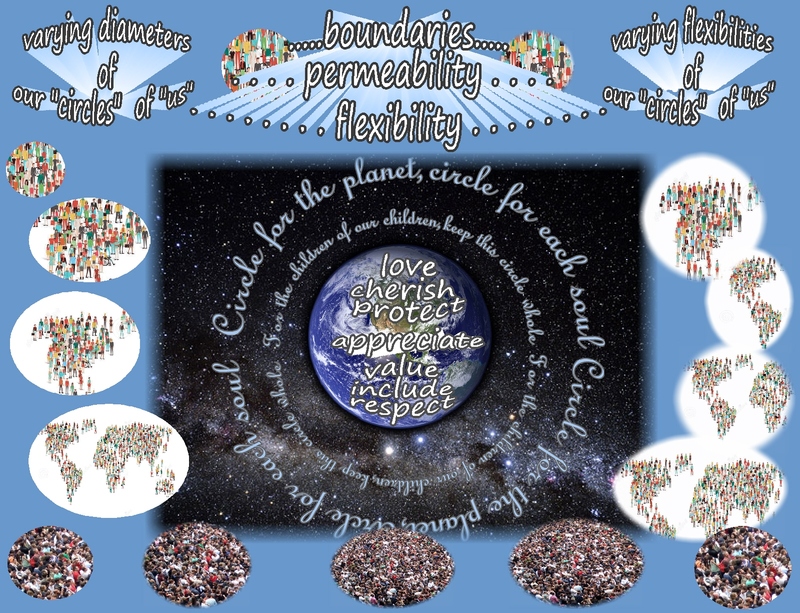 “circles” of “us”……. Isn’t this an amazing awareness???? sometimes…. I do feel a bit stuck…. Other times……I seem to be becoming more flexible…………. And hence… I’m creating this post… pondering these ideas…. possibly….. opening and shifting some of my own perspectives…. 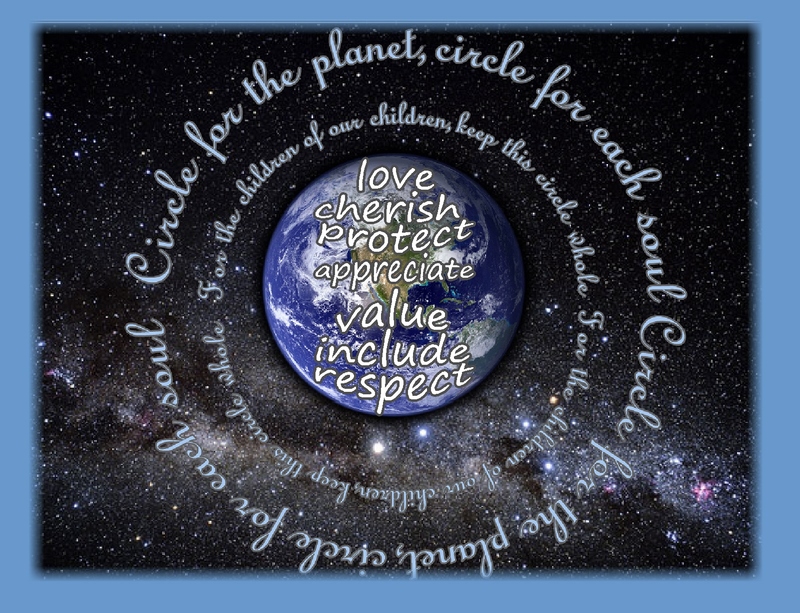 For the children of our children…….. This entry was posted in Awareness, Life and tagged Appreciation, Awareness, Compassion, Courage, Encouragement, Generosity, Inspiration, Kindness, Life, Love, Loving kindness, Mindfulness, Motivation, Spirituality, Wisdom. Bookmark the permalink. 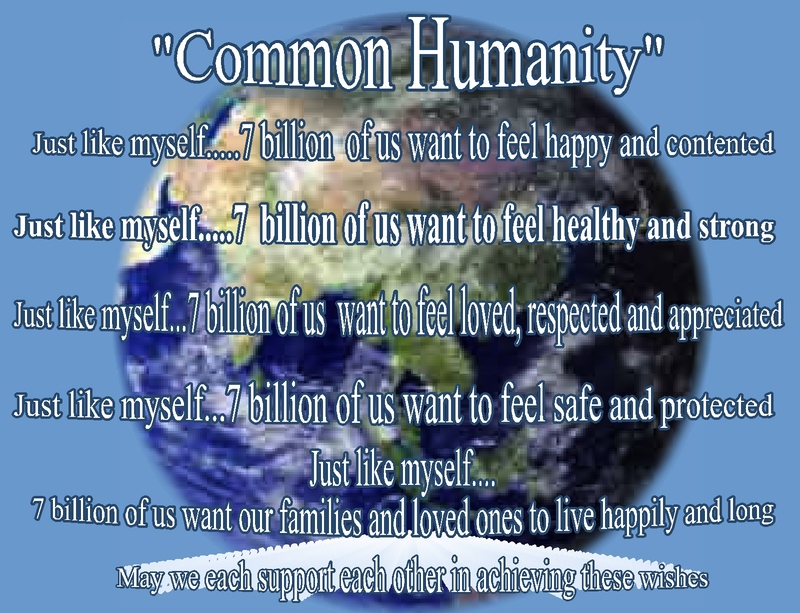 2 Responses to Creating….expanding….our circles of “us”…. 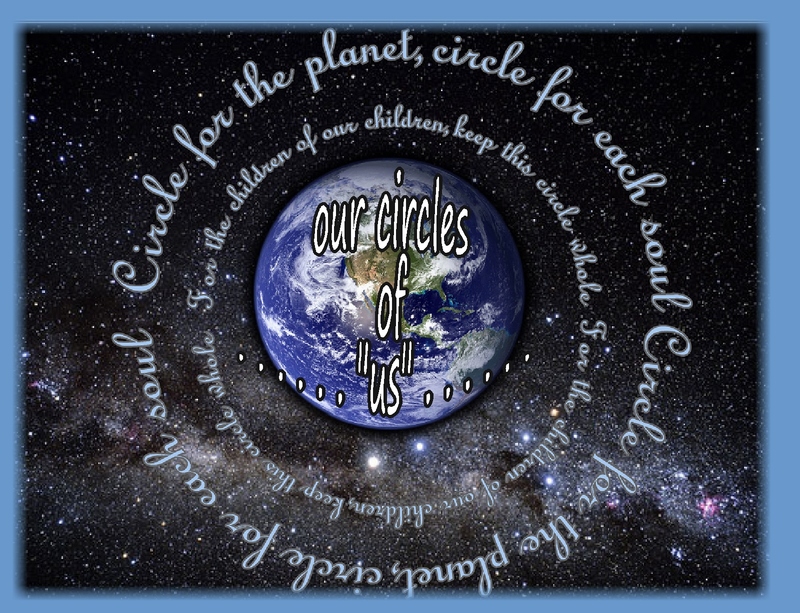 as we’re circling for each soul…. I like how you used the word “imprisoned.” You’re right — most of our prisons are inside our own heads, not made by other people. If more folks took that view, then we wouldn’t see so much of the us vs. them mindset. Well, let’s hope that we might all progress toward that expanding perspective…from my own experience and perspective, it’s a big transition, but even small shifts seem to help….